How to live up the luxury life in Malibu? Malibu is where the big guns come out to play, and it shows. A paradise in the making, Malibu showcases the beach and party life that America is known for. The entire place packs the punch of star-studded L.A. without any of the constricting population all around. The crowd which makes Los Angeles so busy at all times is almost absent in Malibu making it the place to be in when you want to lounge around and relax. Malibu luxury home, quiet sun and a lot of wine are how you want to live the high life. If the beaches tire you out, you could also follow one of the hiking trails to get your daily dose of scenic beauty. Zuma Beach is one of the best places to go to if you want to live up the Malibu life without any problems. Zuma beach has beautiful areas for lounging around and just enjoying the sun. You don’t have to worry about anything with paid parking and lifeguards being available at all times. 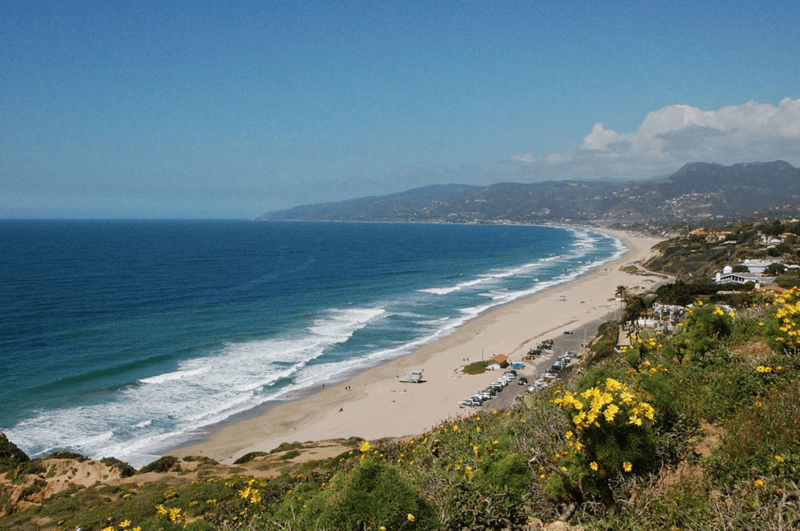 Put yourself into gear and try out the hike to Point Dume where you’ll find hikers who would go out and enjoy the nearby hiking points. The beach is a stretch of white sand where you can relax and enjoy yourselves without any worries. One of those trails which have gone down in our collective cultural history, the Grotto Trail is something you can enjoy if mountains and oceans make you happy. Grotto Trail holds some of the best coastal flora with bushes and trees all around. This is a trail with coastal mountains and shrubs around the area, and it’s often empty. The path is a rocky trail with very well-preserved footpath throughout the region. With skylight streaming in through the caves with streams flowing throughout, this is the trail where you can live up to the Malibu promise in the best way. One of the most beautiful beach settings in the world, the Adamson’s House has been designated as a historic site in America. FIlled with beautiful teakwood floors and hand-painted murals, this was one of the houses that were the epitome of luxury back in the day. Hang back to watch one of the most splendid views of Malibu beaches and also the scenic background its set in. The entire house is filled with relics and designs that hold their own. So, if you’re planning on setting your sights on a historical marvel and enjoy a relaxing day of strolling this should be your destination. It isn’t high life unless you’re hitting a wine-tasting ritual at Malibu Wines. The beautiful vineyard offers one of the best wine-tasting experiences you can get in the Americas. Enjoy the coastal weather and feast yourself on the wine tasting menu without any worries. Book ahead of time since the spots can fill up pretty soon. Make sure to try out the cheese and wine pairings and enjoy yourself like the queen you’re meant to be. This is the grandmama of all the Santa Monica waterfalls at 150 feet tall. It shows off splendidly if you make your way there after an afternoon of precipitation. Keep your head down and go for a stroll at the base when the weather is good, or set up for a great adventure by going to the top. The road to the top is harsh and provides adrenaline rushes with steep peaks and dirt paths that meander for a long time. So, you can enjoy yourselves fully, remember to arm yourselves with some good quality bug spray to keep away the creepy crawlies and keep a knife handy in case the things get a little too hairy. Wine is one of the best things to have when you have the coastal winds backing you up. Keeping that in mind, the good people in Saddlerock Ranch have put up an adventure for you. The Wine Safari is something to cherish when you have kids and adults both coming with you. Feeding the wild animals is something that the kids would love to do, and for the adults, there’s a great variety of wine available for tasting and enjoying the entire ride. It only takes a couple of hours, but, with the wind in your hair and animals all around you, you’ll be lacking absolutely nothing when it comes to luxury. The oldest stone house in Malibu comes around in this trail. But, it’s better known for the beautiful views of the oceans and waterfalls. This is the adventure that you can enjoy with a partner without any hassles. The trail is easy-to-follow and offers many photo opportunities with waterfalls and the local cliffs staring down at you. The stone house is also one of the local attractions and refers to the ruins which are said to date back to long ago. If filling your picture book or going for an Insta-worthy tour is your goal, this is the trail you want to follow. A long day in Malibu hunting for beach spots and adventure needs to be treated with a laidback food hunt in the Malibu Pier. Offering some of the best delicacies of the coast, this pier looks over the beach and the ocean. The scenic views and excellent local cuisine aside, this is also the place where the locals of Malibu meet with the travelers, and the best place to mingle and find out the best party places for letting your hair down.